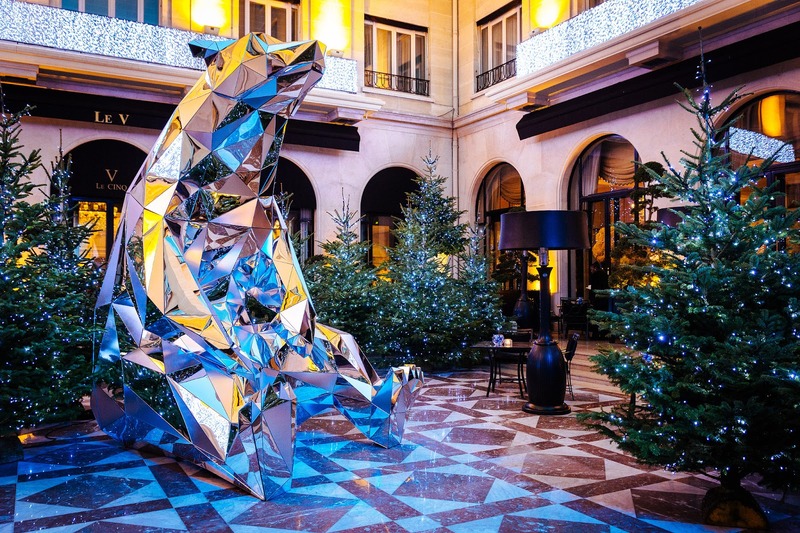 I hope you are enjoying your Christmas holidays!In case you are in Paris during these days, I'm gonna show you some of very beautiful decorates places so you can visit them this Christmas. 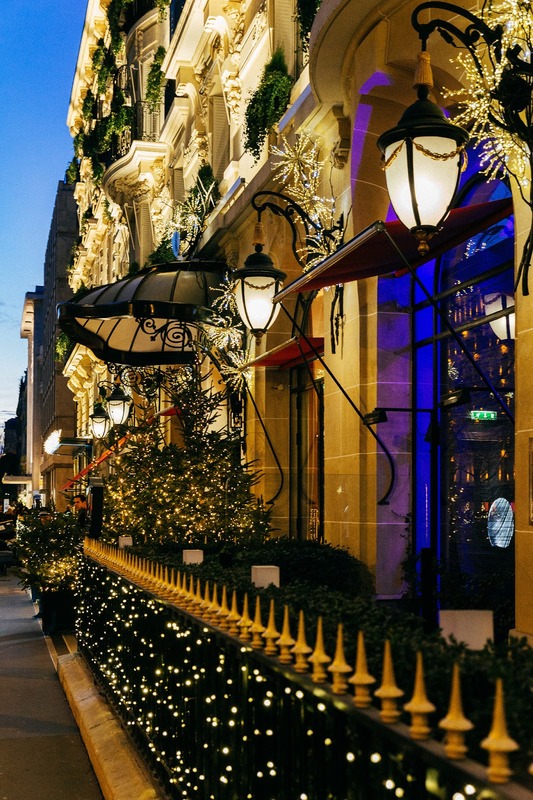 In general Paris is wonderful, wherever you go it's beautiful and makes you feel like in a fairy tale, but I hope my Christmas spots are gonna be interesting too. 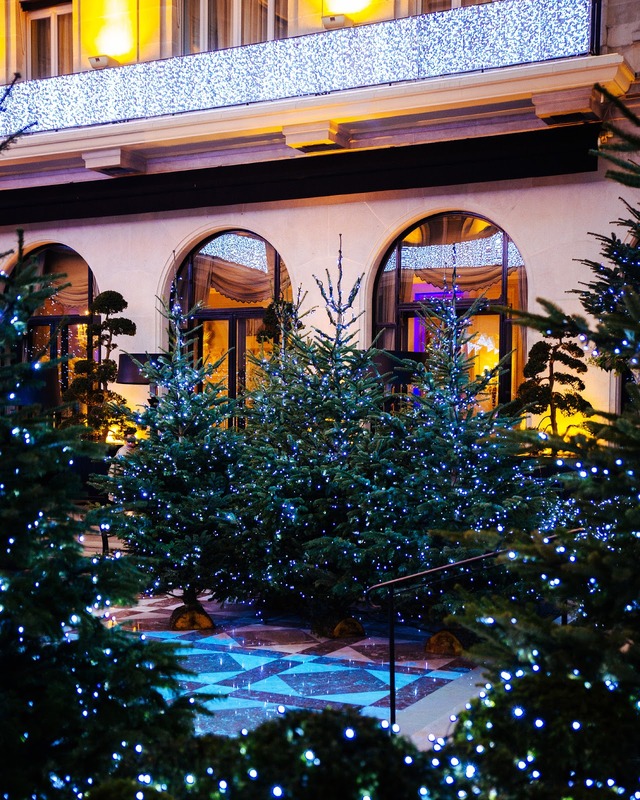 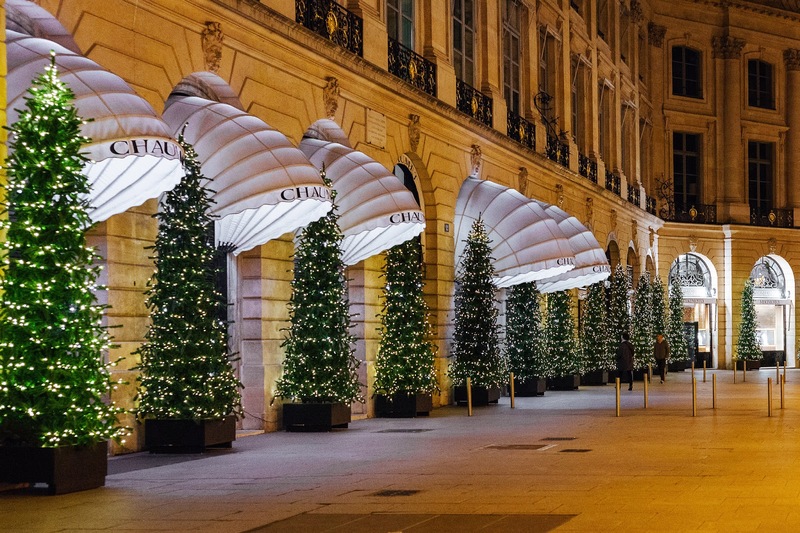 Another great location to spot some beautiful christmas decoration is Avenue Georges V close to Avenue Montaigne and Champs Elysées. 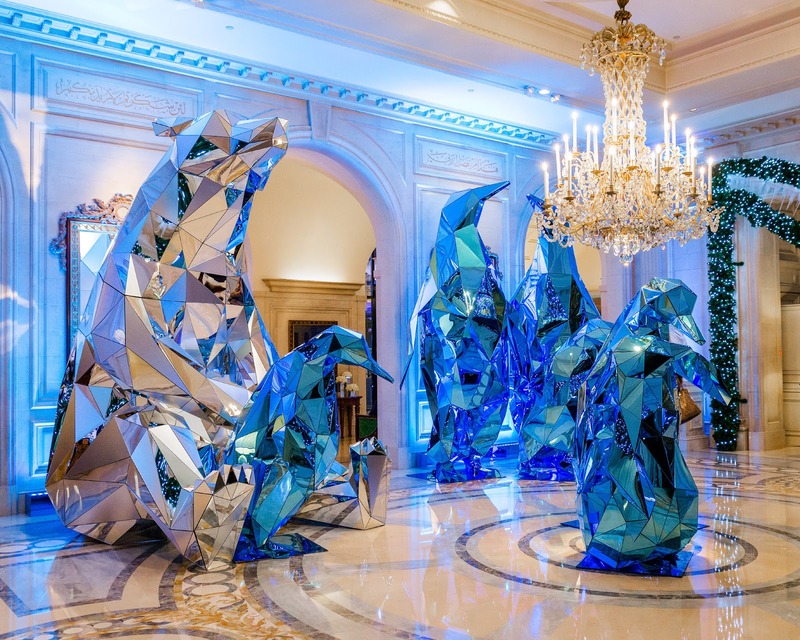 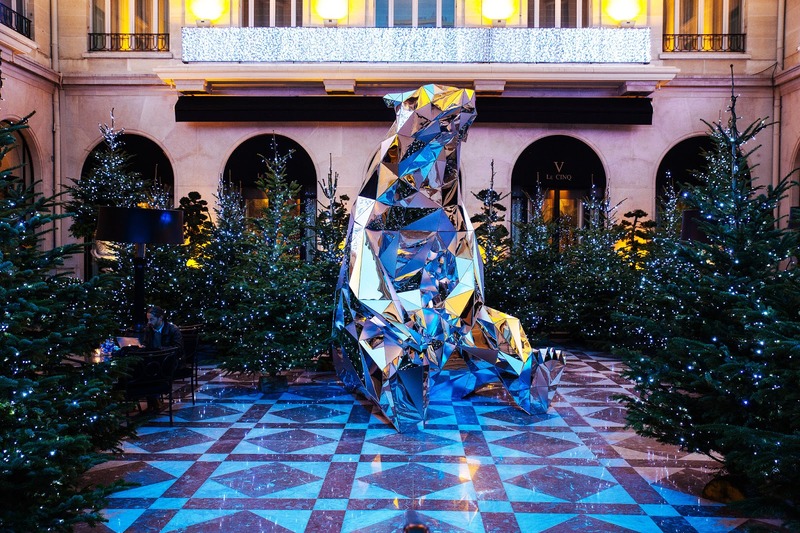 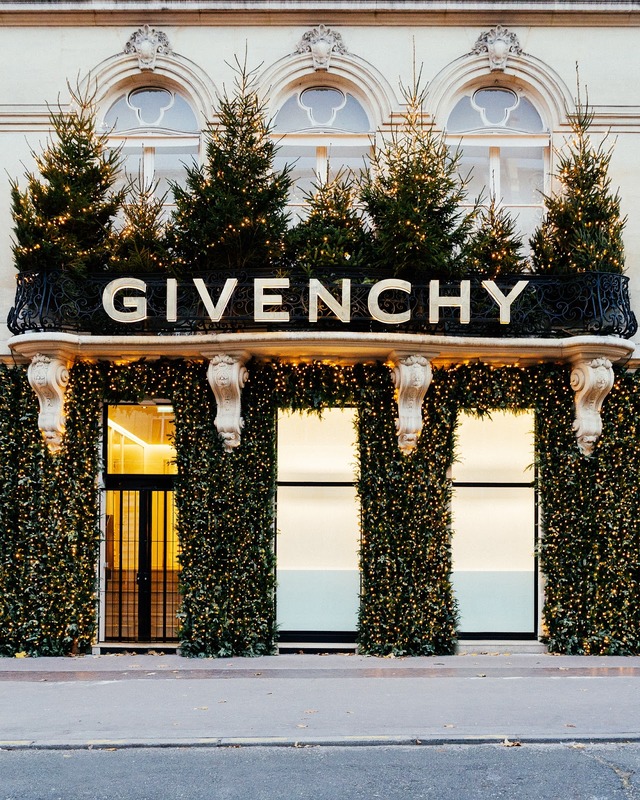 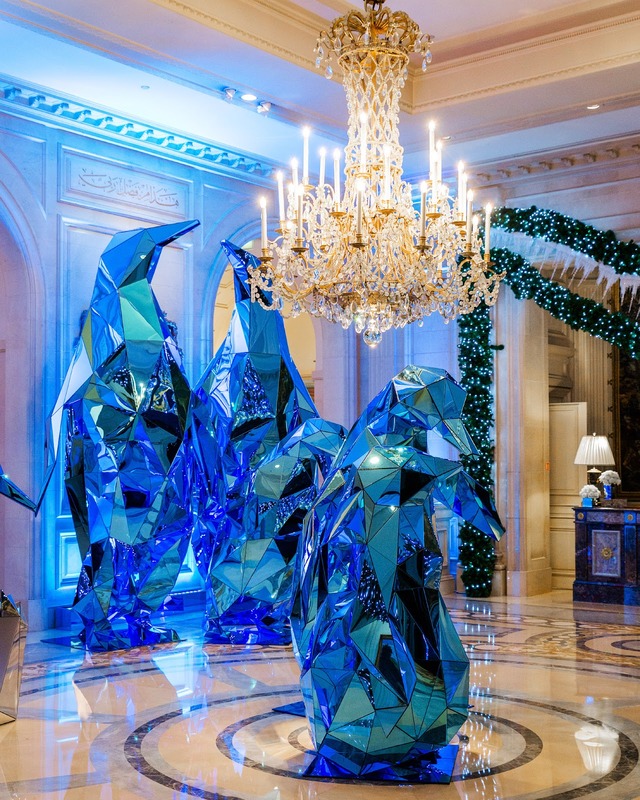 Givenchy put beautifully decorated christmas trees and if you walk a bit up the street direction Champs Elysées you need stop by the Four Seasons Hotel Georges V. In their courtyard Jeff Leatham did a marvellous installation with Polar Bears and Penguins. 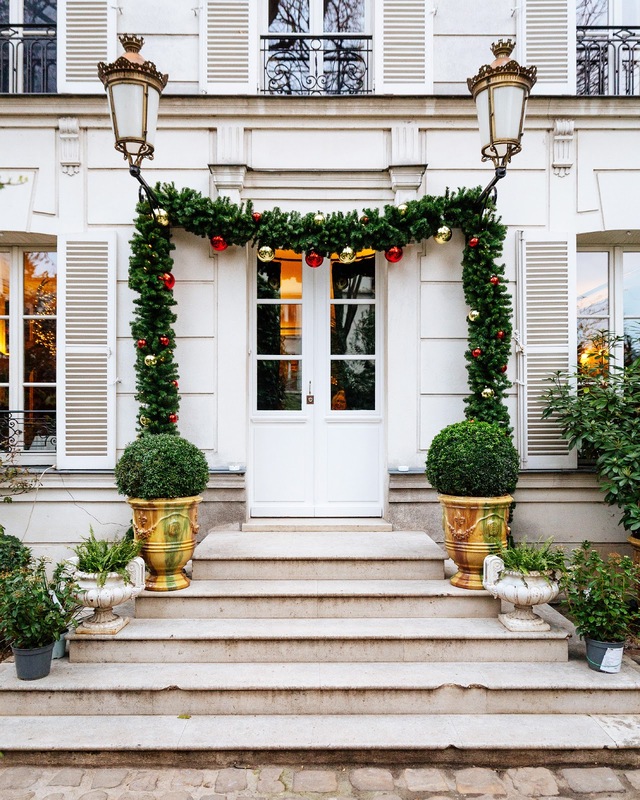 Hotel Henriette Rive Gauche - cute terrace with a vintage christmas decoration. 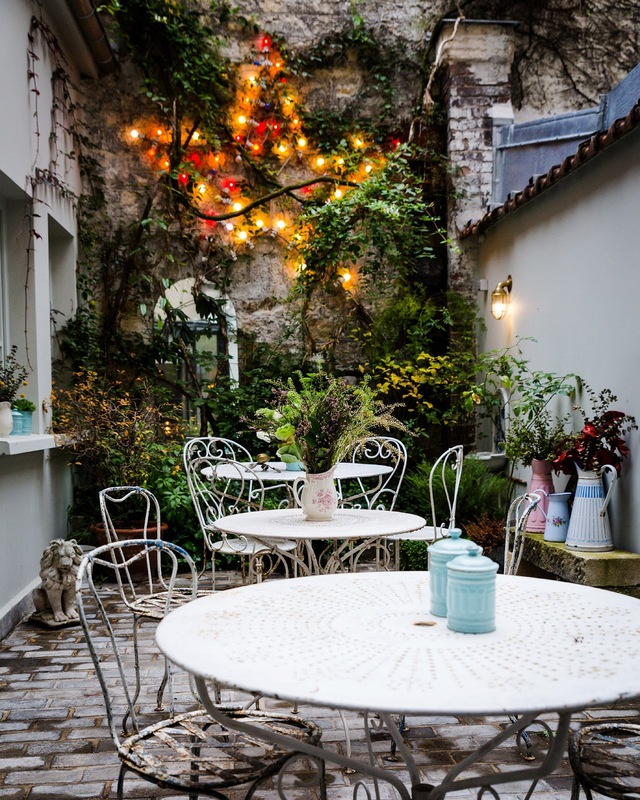 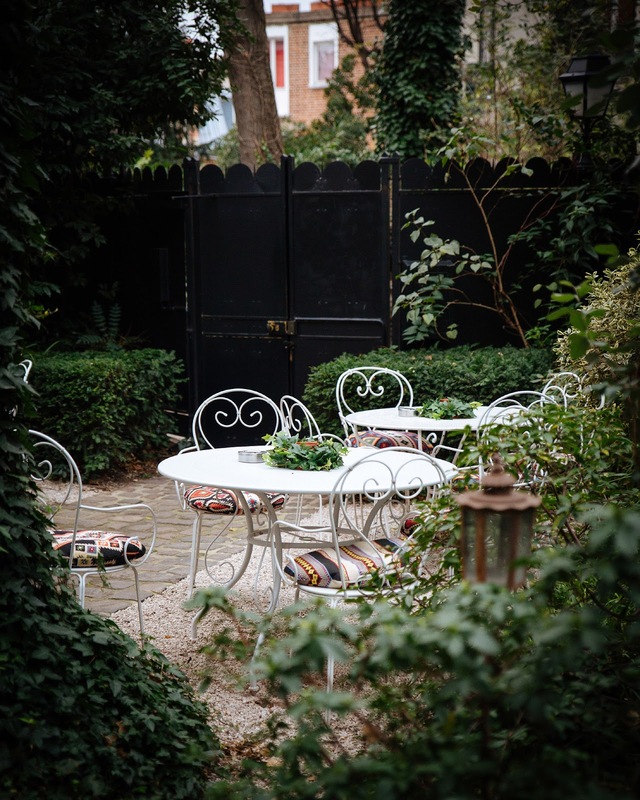 Hotel Particulier Montmartre - beautiful hidden hotel with a cute terrace in Montmartre. 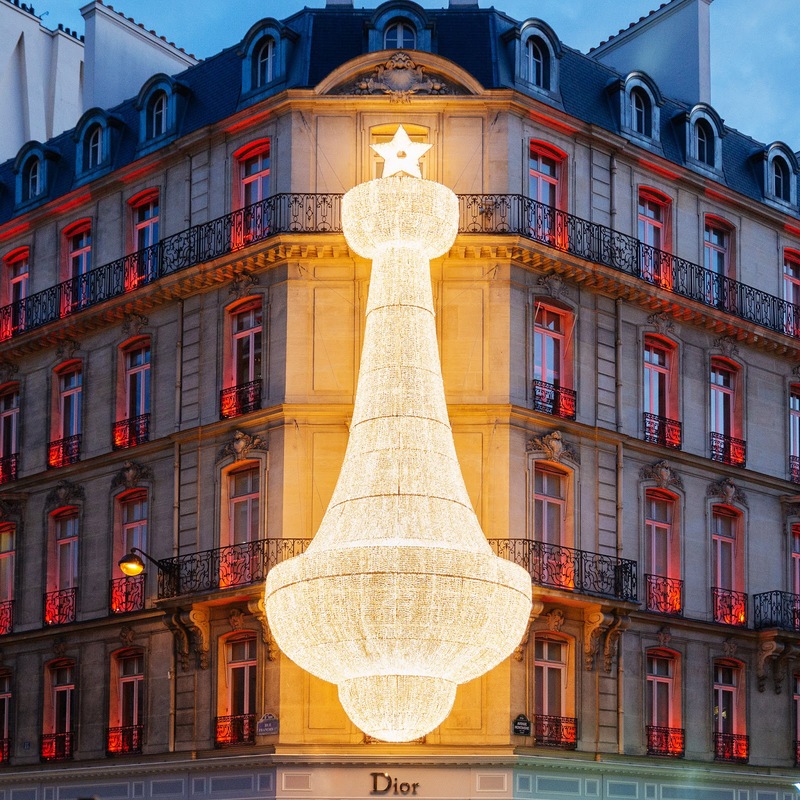 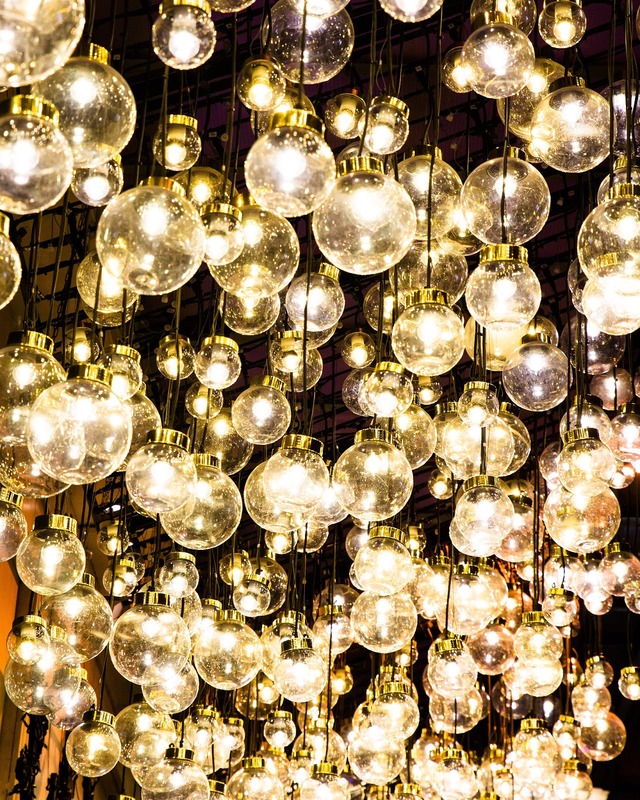 Saint Germain des Prés is another great spot for christmas decoration lovers. 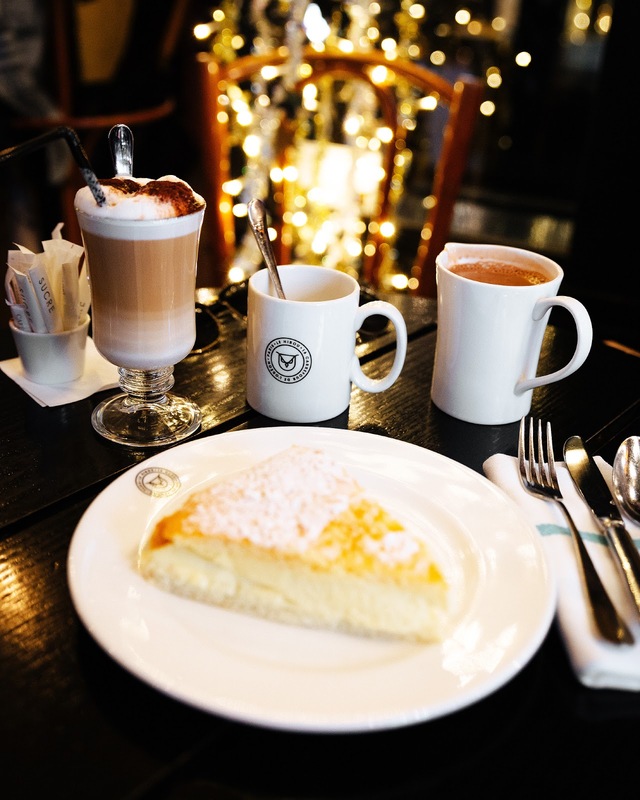 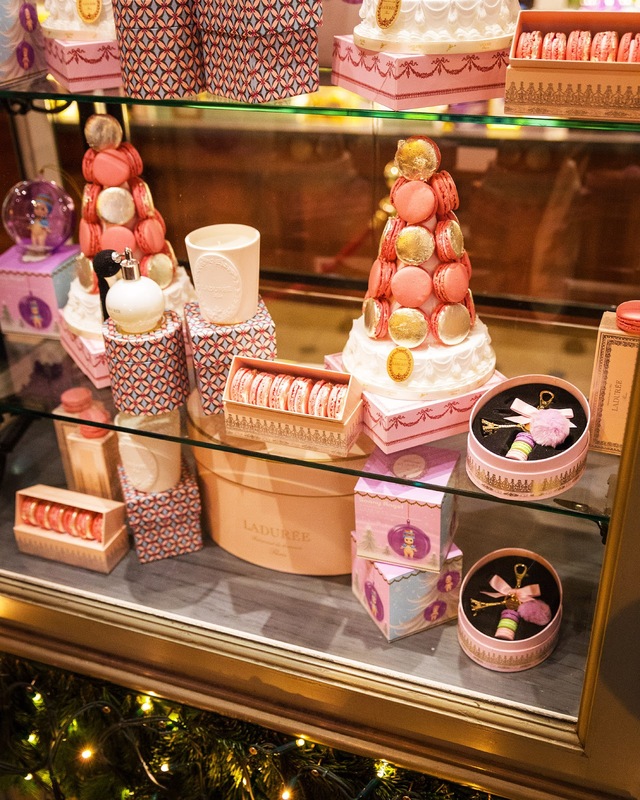 If you stroll through the streets of Saint-Germain make sure to drop by Ladurée at Rue Bonaparte to see their beautiful window installations and afterwards I recommend going for a hot chocolate to the café Le Hibou. 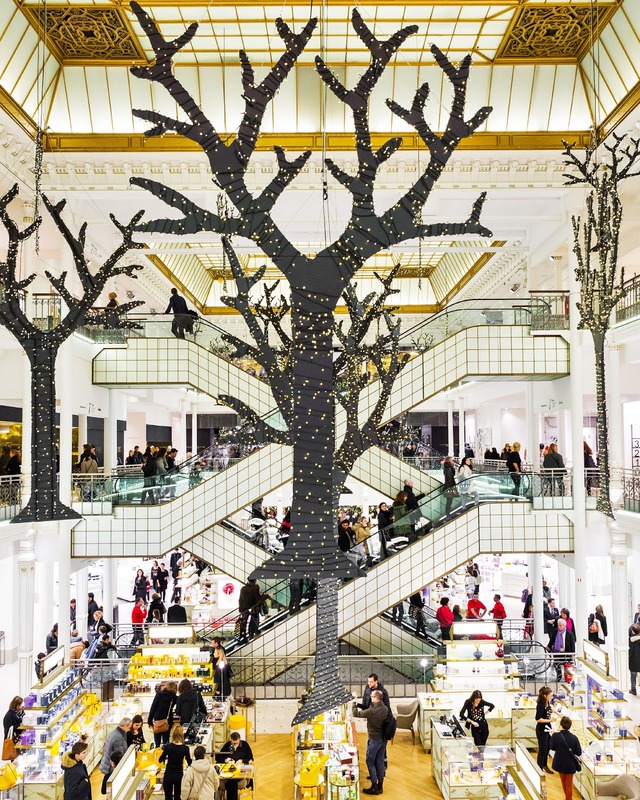 To finish the day with some shopping Le Bon Marché is the place to go in Saint-Germain. 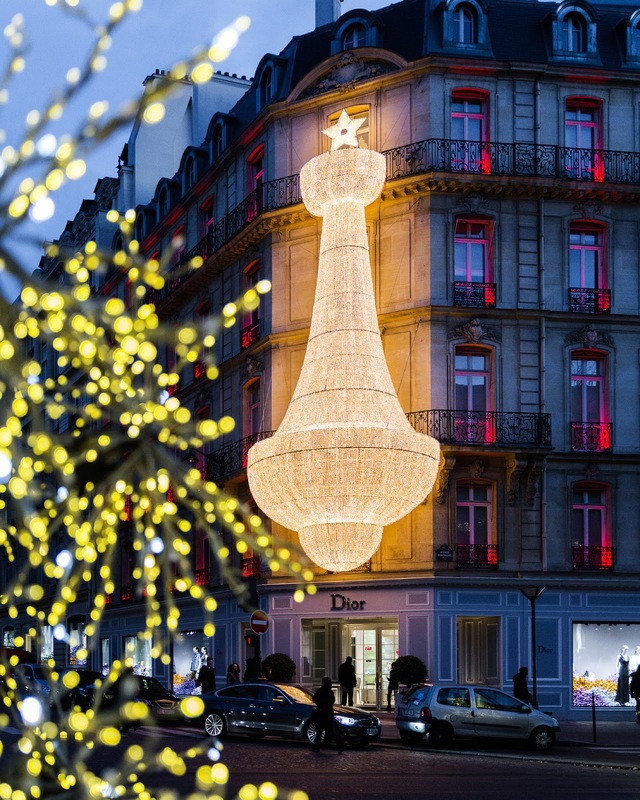 One of my favourite locations during christmas still is Place Vendôme. 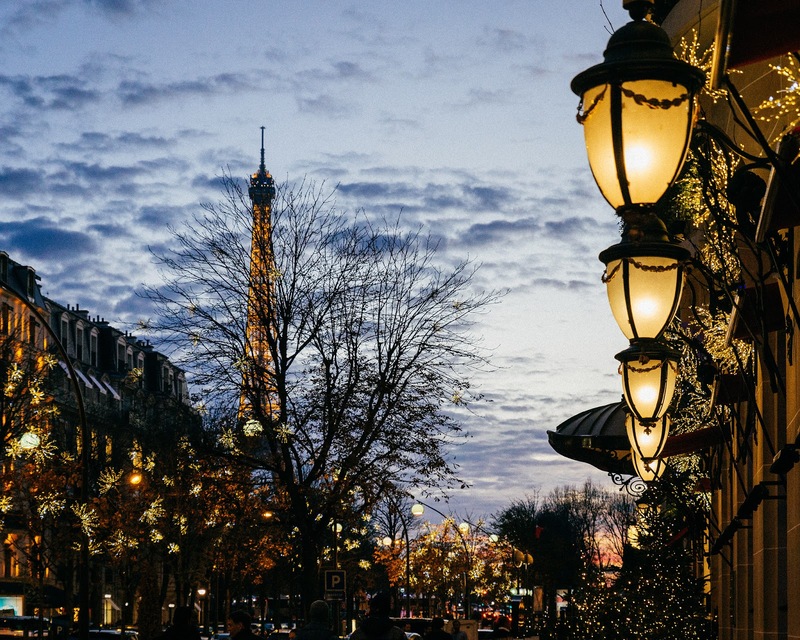 I hope you'll enjoy a beautiful Christmas in Paris.